A Last Spin On The Les! 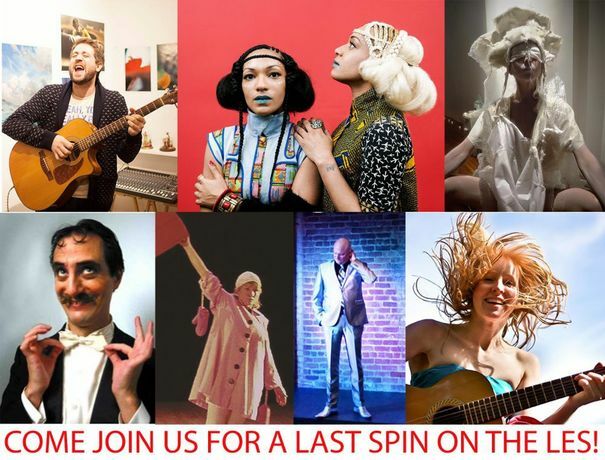 Save Event: A Last Spin On The Les! Share A Last Spin On The Les! The time has come to let go of our permanent platform on the Lower East Side. Our historic storefront on East Houston has been a great home for us for five full years, but our vision has evolved away from the conventional gallery setting. So, as of next month, our team will be without a fixed abode. NOoSPHERE Arts will remain as a nonprofit organization, only now operating as a mobile entity. Going forward, we’ll organize events in various venues, such as Mothership NYC, Last Frontier NYC, and elsewhere – the world is our playground!